To celebrate World Cancer Day, The Hollywood Allstars are hosting a celebration for all the survivors of the disease, as well as a dedication it to all those we've lost to it. The band features an impressive and diverse cast of top flight musicians. Opening for The Hollywood Allstars is five-time New England Award nominee Recording Artist Frank Viele! "I got together a collection of musicians that is really mind-blowing." 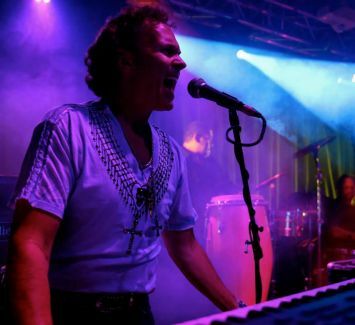 says Gaspar, "they've played with everybody from Stevie Wonder to the Allman Brothers to Sheryl Crow and on and on.."
With nine musicians, The Hollywood Allstars are a rare commodity, coming together between gigs for fleeting and unforgettable performances. When assembled, The Allstars throw down high octane funk with blazing horns and a crunchy organ. Proceeds will be going to benefit the Norma F. Pfriem Cancer Care Center in Fairfield.